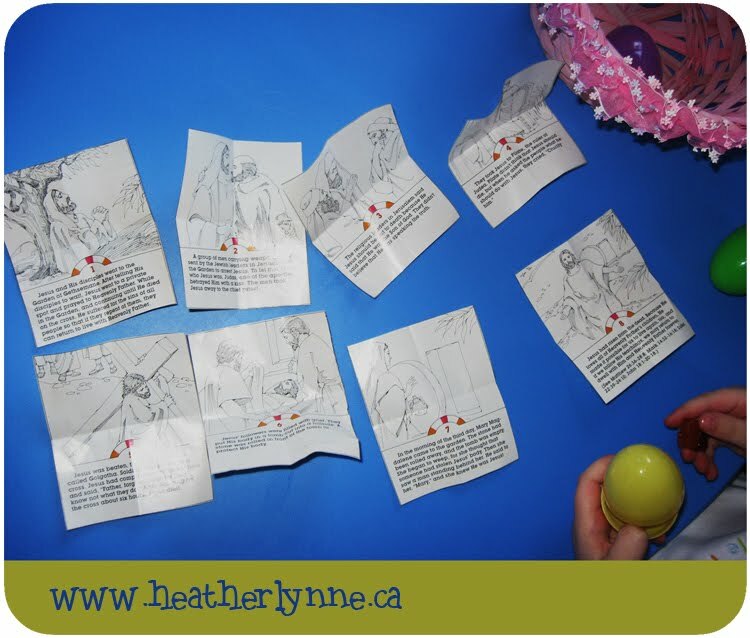 After all of the eggs were found, we put the papers in order & read the Easter Story. I was surprised how much Talia rememebered from the one other time this week that we talked about the story. LOVE IT!! Aaron and I watched her reaction several times over! :) LOVE THOSE GIRLS! We've done a similar thing here and my kids keep doing it OVER and OVER and over again. which friend did you find the easter story in?